The main benefits of juicing vegetables is the amount of nutrients, vitamins and minerals your body will absorb. 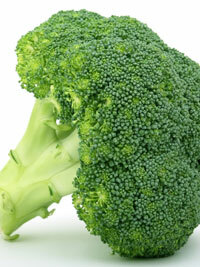 It has been reported that these nutrients will reach the blood stream in approx. 30 mins when drinking fresh vegetable juice. That is a far quicker result than you would get from simply eating them. 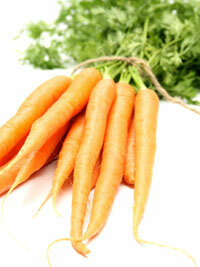 It’s not recommended that you rely solely on juicing vegetables to maintain a healthy diet. It is important to still eat a well balanced diet that contains plenty of fresh fruit and vegetables as well. Now if you’re anything like me, you may get into the habit of regularly putting the same vegetables in your weekly shopping basket. Let’s face it sometimes it’s a mad dash around the supermarket and we stick to buying what we know the family will happily eat. But you may be missing out on lots of different vitamins and minerals from doing this. The benefits of juicing vegetables is that you can sneak the odd vegetable into a juicing recipe that you wouldn’t normally eat on its own. For example I’m not a fan of beetroot, but if you add a small amount into a juice recipe the benefits are great. Contained in beetroot is the immune-boosting beta-carotene, as well as many other minerals including iron and manganese. Juicing will allow you to add new exciting vegetable combinations into your diet enabling you to benefit from a new source of vitamins and minerals. Herbalists and nutritionists have used juices for centuries to prevent illness and alleviate ailments. Now I’m not recommending that they are a substitute for regular mainstream health prevention methods and cures. However it’s commonly regarded that vegetable juicing combined with a healthy diet will seriously boost your immune system. The antioxidants found in fruit and vegetables are extremely important in supporting the immune system. For example the brassica family of vegetables including cabbage, cauliflower, broccoli and sprouts are thought to be potent cancer fighter. Likewise onions and leeks help to fight off the common cold. If you have an allergy or health condition that can’t be helped or cured through medications you might find the benefits of juicing vegetables can help prevent or ease the symptoms. I must stress that a professional medical diagnosis is always required. Vegetable juicing can help with suffers from hay fever, sinuses, digestive problems, circulation and much more. It’s just a case of finding out the vegetables that contains the nutrients to help you boost your immune system and help fight or alleviate your symptoms. You may also be interested in finding out about the benefits of juicing fruits.